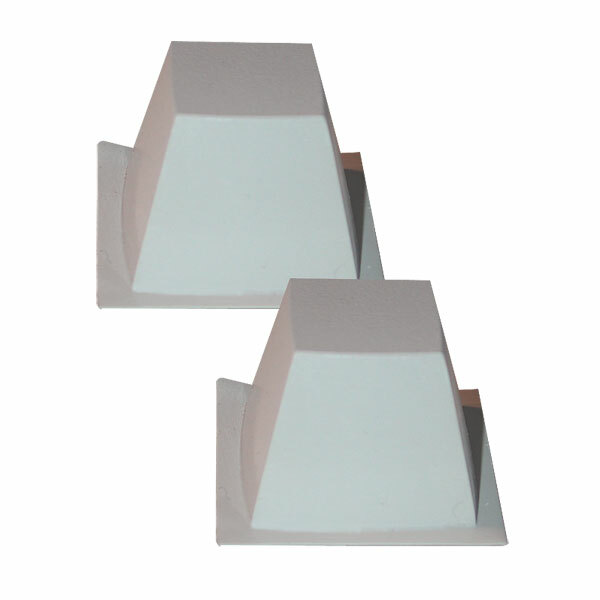 These chunky, rubberized, non-skid feet make using your TTY so much easier. Peel off the backing and stick to the rear underside of your TTY keyboard. Instantly, you'll be able to read the display better and type easier. Each 'foot' measures a hefty 1 x 1 inch at its base for a firm non-skid grip. These are a great accessory for the TTY. One pair per package.